This tablet has 'unputdownable' in the description. Bold start. Samsung has officially launched its new tablet, the Galaxy Tab s5e, just in time to take on Apple's iPad. 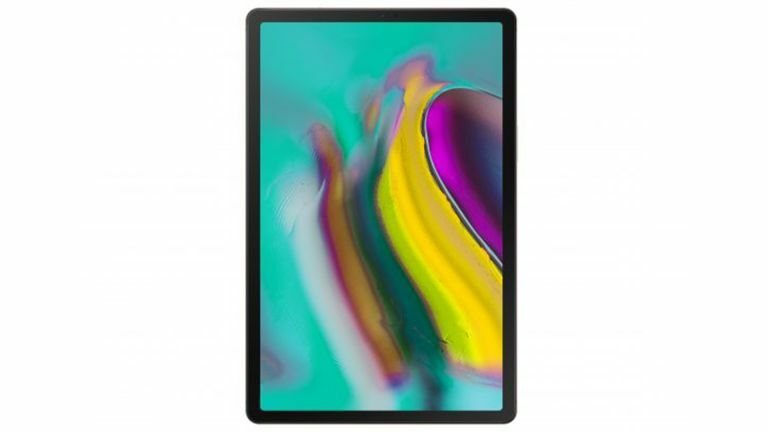 The new Samsung Galaxy Tab S5e has got a new design with a super slim metal body that stands at just 5.5mm front to back and means a weight of 400g. Despite going for that extreme portability, Samsung has managed to cram in a hefty 7,040mAh fast charging battery to gets you a good 14.5 hours on a charge. The centrepiece of the Tab S5e has to be that beautiful 10.5-inch WQVGA Super AMOLED display, it's what Samsung specialises in so was always going to look great. Running all that is a curiously unnamed processor that Samsung simply describes as a "64-bit octa-core processor" with 2 x 2.0GHz and 6 x 1.7GHz cores. That's all backed by either 4GB or RAM and 64GB storage or 6GB of RAM with 128GB of storage – both also have microSD that supports 512GB cards. On the rear is a 13MP camera while the front has an 8MP snapper capable of facial recognition for security. The quad speakers offer AKG and Dolby Atmos sound. You also get USB-C charging, GPS, Android 9.0, a fingerprint sensor, optional 4G, Book cover keyboard and a pre-order date of March. Pricing has yet to be announced at the time of publishing. iPad Pro 2018 vs iPad Pro 2017: is the upgrade worth your while? Google Pixel Slate vs 2018 iPad Pro: which tablet 2-in-1 wins out? Should you go Google or Apple for your next tablet?